…especially on a day like today. +5C and Irish rain. Weather that guarantees that no climb would be fun. 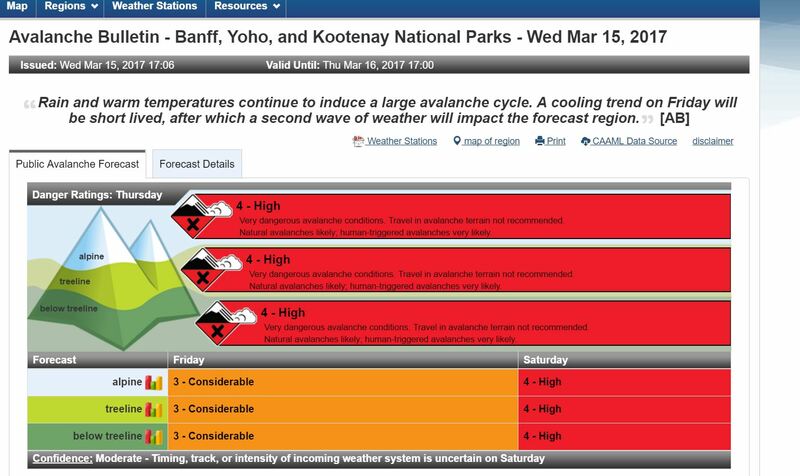 Kind of a bummer, especially that yesterday we took a day off climbing. Let me start from yesterday then. 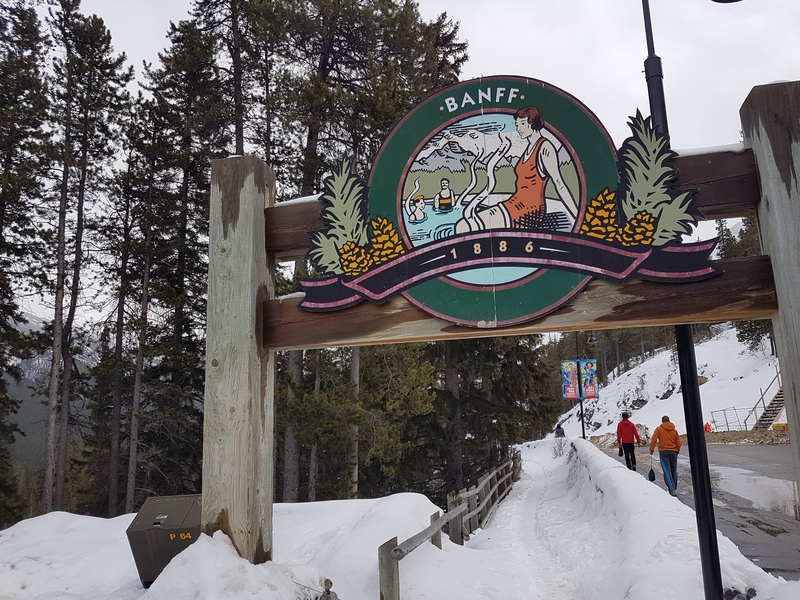 We drove to neighboring Banff to walk around town, do some shopping and visit Banff Hot Springs. It’a place that we’ve already visited last year, but it’s always nice to come back. Lar never been to any hot springs before, so that’s added bonus for him. 8 CAD also sounds inviting. It’s a pity it was pretty warm (+5C), as it is much better to sit at 39C water when air temp. 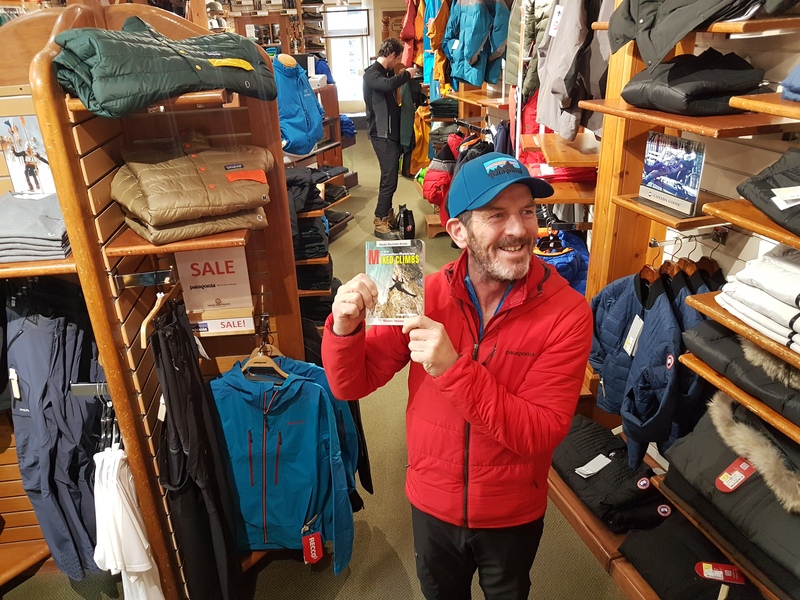 After that we did a round in Banff’s climbing/gear stores, where PG picked up 2 very important things – a new, blue, Del style baseball cap, and the rarest find of them all Sean Isaac’s Mixed Climbing book. These go for 200+ dollars on amazon, PG was lucky to find one of few remaining copies for mere 25 CAD. I don’t think the store knew what they were selling. Needles to say I’ve never seen PG that happy. Today’s plan wasn’t complex – get up and try to find something with easy access and reasonably sheltered from the rain. 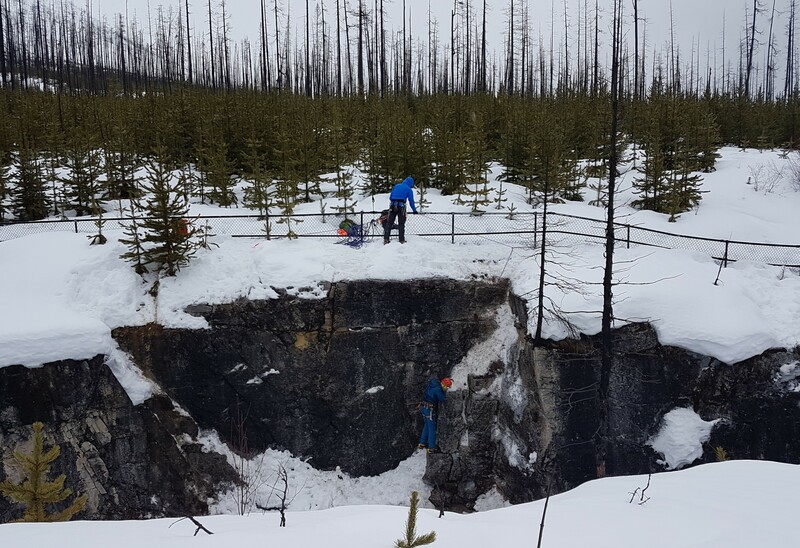 Mixed finish – last 5-6 meters is at M4 over rock (no ice). Some years it doesn’t touch the ground (it have this year), so M5-6 start! Very claustrophobic and intimidating, as there isn’t much space at the bottom. 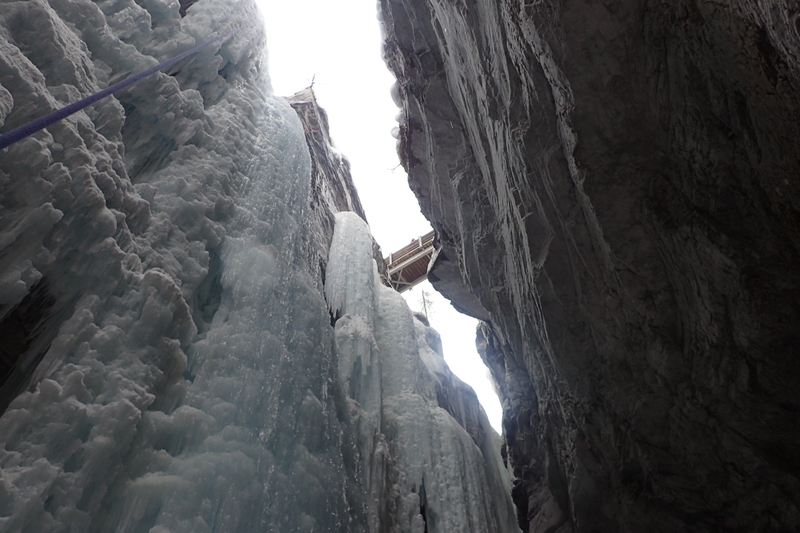 Committing – there is no easy way out – you either climb the rope or the ice. The climb as seen from the bottom of the canyon. 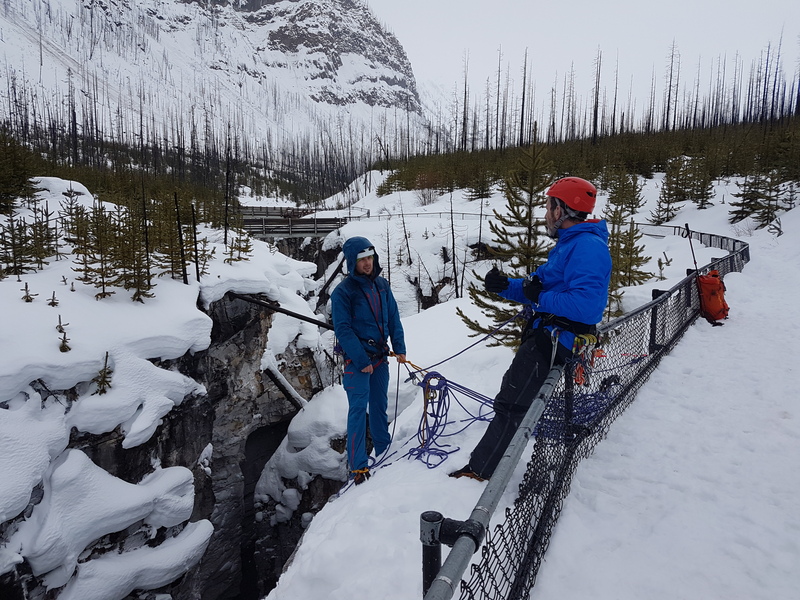 We’ve setup a single rope abseil, to make sure it reaches the ground (60m rope would be to short) and opted to belay from the top. It’s more complicated to rig, but worked better with the gear we had. PG went down first -It was quite clear that we won’t come out of there dry – not only it was pouring rain all the time, but the climb itself was quite wet (especially on it’s right hand side line). Relaxed PG, with me getting ready to abseil. At this point Lar was sure he was going to take a different, equally important role, that of a photographer. He didn’t really feel like going down, and I can’t blame him. With the sound of avalanches coming down from the mountain behind our backs, the place was quite terrifying. Fun, but scary (100% safe imho, but that is something everyone have to asses on their own). Me by the end of the steep part shaking it off. In those rainy conditions we knew we wouldn’t lead it today. As a matter of fact I had enough after only one lap (most people run multiple, and I’m sure if it wasn’t raining we would as well). It’s a great workout and there are multiple lines to take (PG actually went twice, once on the left, once on the right). I got to say I really enjoyed it. Especially the mixed finish – I never stuck my tools in anything else than ice or snow before. To summarize: even though we didn’t do that much climbing it was fairly lightweight day. Definitely an adventure to remember! 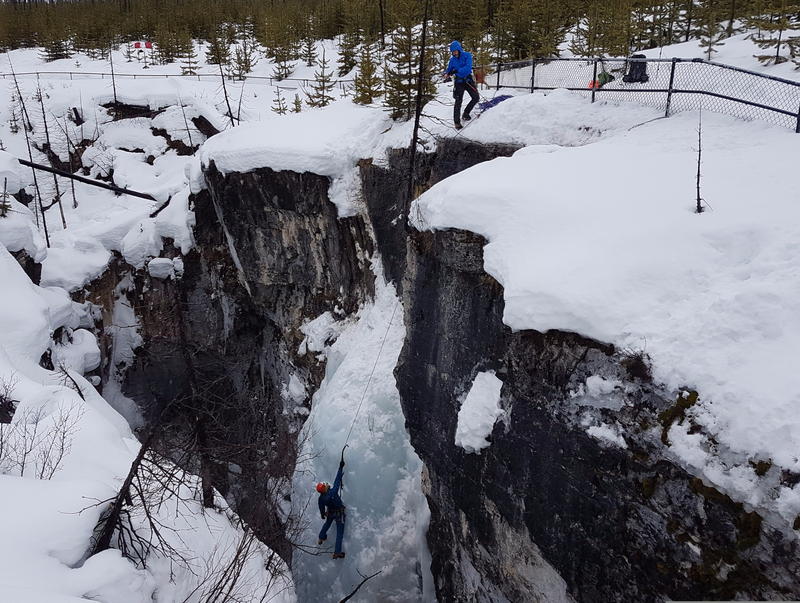 Tomorrow we are planning on going ‘far’ north (some 200km, towards Ramparts Creek) in search of colder weather, good ice and avalanche conditions better than here.